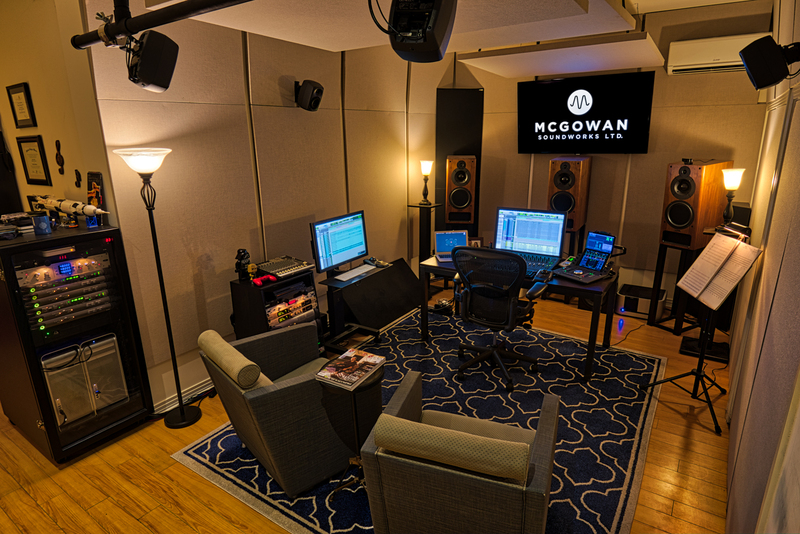 Studio | McGowan Soundworks, Ltd.
McGowan Soundworks, located in Mid-City Los Angeles, features 7.1 surround monitoring that has been tuned by Dolby Labs, 2 Pro Tools HDX systems, dual Lexicon PCM96 Surround reverbs, and a diverse collection of plug-ins to accommodate a variety different projects. Our studio offers a balanced, quiet, cool, and comfortable environment to bring your project to completion. A complete plug-in list can be found here. Below you’ll find a link to a guide to preparing cues for mixing. This process involves a lot of specific details that if done correctly, can save a lot of time and confusion during the mixing process. Even if you aren’t hiring me to mix your project, feel free to use this guide as most other mixers that I know will likely want things delivered to them in a similar fashion.